In April, Sally Jacobson of Grand Forks, N.D., celebrated a very special birthday … for her liver. The Grand Forks Herald reports that Jacobson's liver turned 90 on April 23, even though she herself is only 69. It was an interesting take on a birthday that wouldn't have been possible had Jacobson not received a life-saving transplant from a much older donor back 2006 at Mayo Clinic in Rochester. The Herald reports that Jacobson's liver problems began in August 2005, when friends began noticing her face had a "yellow pallor." At the time, Jacobson says that while she had been feeling unusually fatigued, she didn't think too much of it. Until she found herself in an emergency room a few months later having fluid drained from her chest. Doctors diagnosed her with chronic autoimmune hepatitis disease and cirrhosis of the liver, placed her on the liver transplant waiting list, and referred her to Mayo Clinic. Jacobson's doctors at Mayo told her they'd like her to stay in case a new liver became available, according to the Herald. And it did, when an 82-year-old man who Jacobson did not know died unexpectedly of a brain aneurysm. Jacobson tells the paper she and her husband had already told her doctor she would gladly accept any liver that matched her body -- older or younger. "He said, 'It might give you 15 years,'" Jacobson says of the new-slash-older liver. "At that point, 15 years sounded wonderful. My husband and I knew I maybe had a month to live." Three weeks after her successful transplant surgery, Jacobson and her husband learned that their granddaughter had died from sudden infant death syndrome. Amid the emotional pain and suffering that followed, Jacobson tells the Herald a sliver of a silver lining came when the girl's parents -- in a symbolic gesture -- made their daughter an organ donor herself, even though she couldn't actually donate. "They knew that without that liver, I wouldn't have been there," Jacobson says. 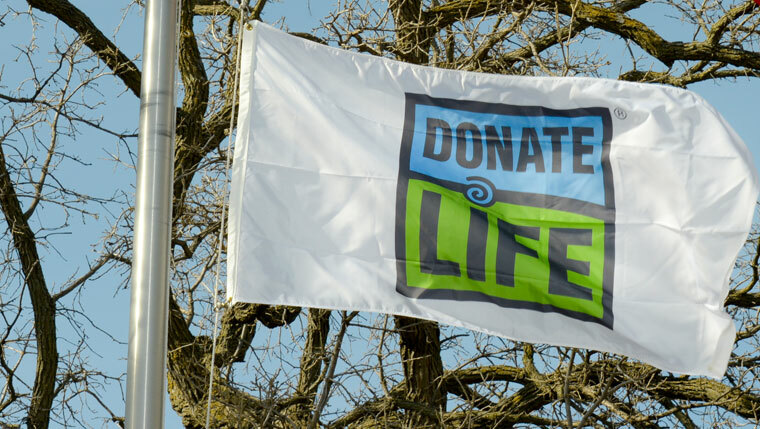 Today, in an attempt to honor her granddaughter and shine a brighter light on the importance of organ donation, Jacobson is embarking on a speaking tour, talking about organ donation with anyone and everyone who will listen. Including those gathered for the recent unveiling of the Living Legacy Donor Wall at Altru Health System in Grand Forks, a Mayo Clinic Care Network member. "I go wherever people want me to go and try to spread the message," she tells the Herald. "I've done a lot of work to get the word out and I will continue to do that. I think the message is so important … Plus, I believe in paying it forward." You can pay something forward yourself by sharing your thoughts below.